We conclude our section-by-section preview series with a breakdown of the final three divisions of the Southern Section. We took a different approach with the preview for the massive Southern Section, breaking it up by divisions and breaking those divisions up by competitive "tiers" or projected levels of competitive ability. Here is a detailed look at Division V boys and girls. Pictured above is Village Christian freshman Mia Barnett winning the Southern Section D-V title last November at the Riverside Championship course. Barnett went on to have a stellar track season and competed in the State 1600 meter final, earning a medal. But as you read below, you'll see where she isn't even the top returning Southern Section finisher from the State meet. 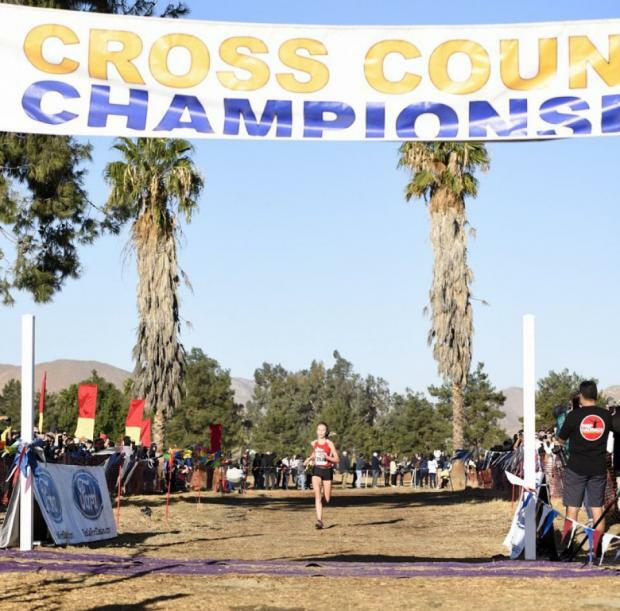 In fact, there are nine returning girls in the Southern Section who finished among the top 27 overall at the State final last fall. That's nine of 19 top-27 returners overall. So, among the girls, there is plenty of top-end talent returning across CA. The story is different on the boys side where half of the top-30 finishers at State graduated. State team runner-up Thacher and perennial Southern Section champion Flintridge Prep are poised to push each other to the top of the podium at both the section and the state level.